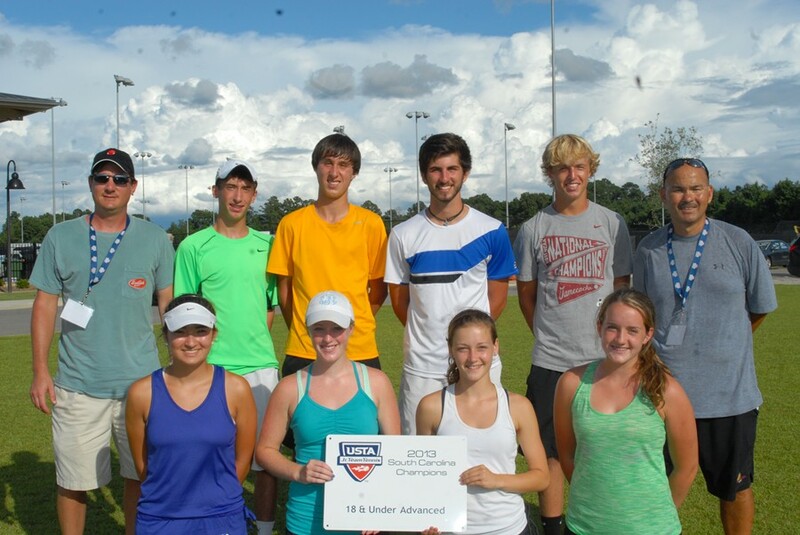 FLORENCE, SC, July 21, 2013 – USTA South Carolina Jr. 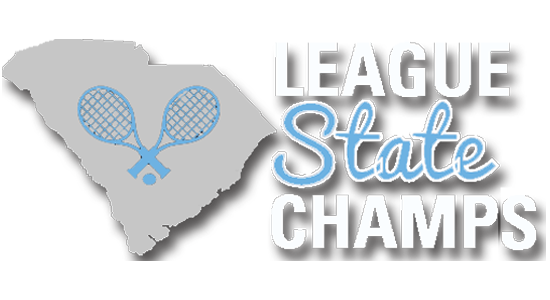 Team Tennis State Championships concluded Sunday in Florence, SC with 32 teams competing and six teams winning state championships. The tournament was held at the Dr. Eddie Floyd Florence Tennis Center in Florence, SC. Teams from Lexington, Columbia, Hilton Head Island, Greenville, and Summerville took home championships and will now have the opportunity to compete at the USTA Southern Section Championships in Auburn, Alabama. 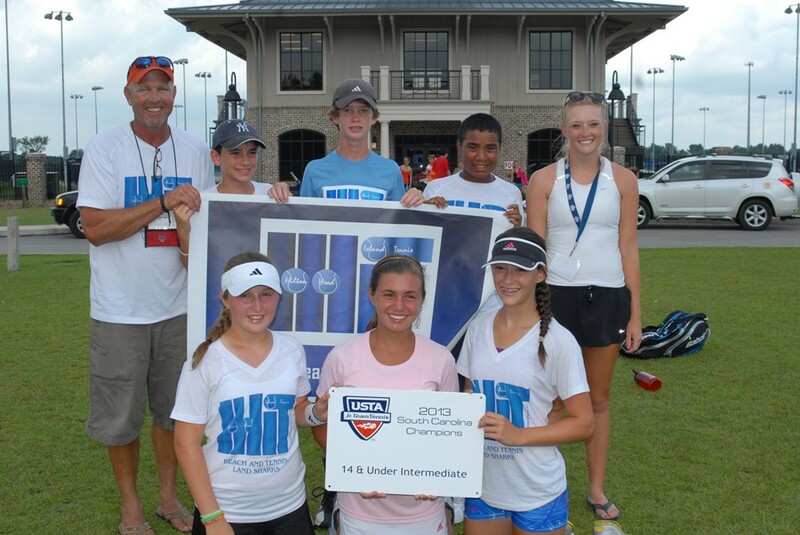 With 246 participants and 32 teams, the 2013 USTA South Carolina Jr. Team Tennis State Championships capped off a year of local team play in programs throughout the state. The Lexington High School team, winner of the 18 & Under Advanced division, is coached by Jonny Thompson. The team consists of Thomas Bryan, Logan Adkins, Mark Carnes, Grayson Hill, Savanna Fuller, Katie Thompson, Amy Lance, Isabelle Cooper and Abby Cooper. The Lexington High School team plays out of Lexington Tennis Complex. 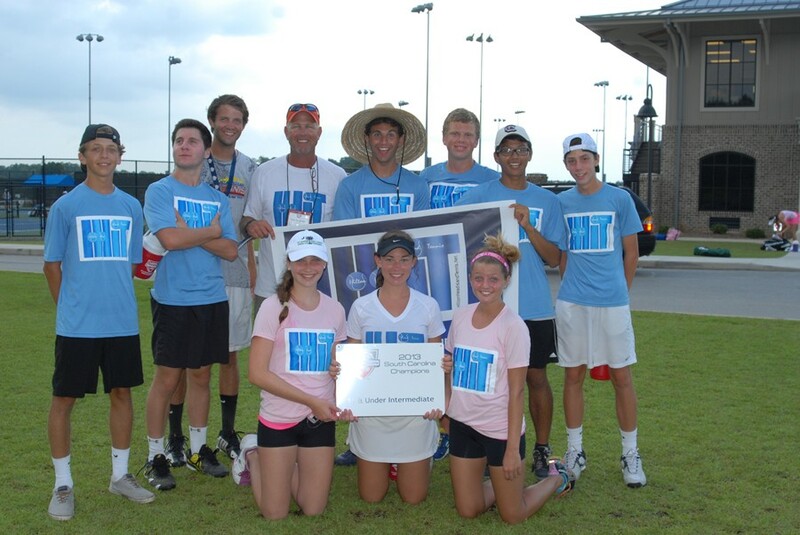 The Hilton Head Island Landsharks, winners of the 18 & Under Intermediate division, are coached by Eric Wammock. The team consists of Kate Bennett, Maddy Bauer, Phillip Tong, Matthew Feldman, Ian Schenikel, Brad Malool, Stevie De Vincentis, Cameron Clark and Katie Rankin. The Landsharks play out of Hilton Head Island Beach and Tennis Resort on Hilton Head Island. The Hilton Head Island Landsharks Summer, winners of the 14 & Under Intermediate division, are coached by Eric Wammock and Katie Hoch. The team consists of Holly Kerr, Samantha Kriney, Alex Ittenbach, Robert Gavin and Sarah Wood. The Landsharks Summer play out of Hilton Head Island Beach and Tennis Resort in Hilton Head Island. 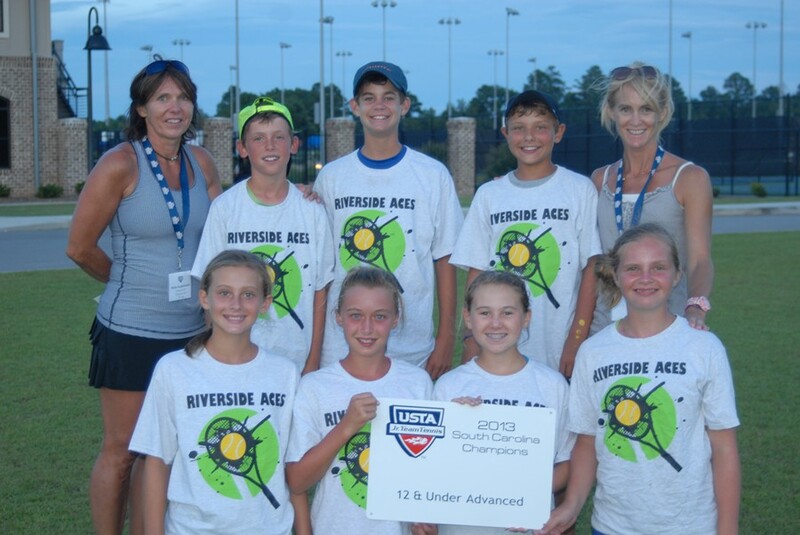 The Greenville Riverside Aces, winners of the 12 & Under Advanced division, are coached by Heike Kamieniecki and Jennifer Pitts. The team consists of Timothy Pitts, Sebastian Kamieniecki, Brolin Dorsey, Christopher Johns, Day Nuckolls, Taylor Roberts, Abigail Bragg and Annabelle Kleinfeldt. 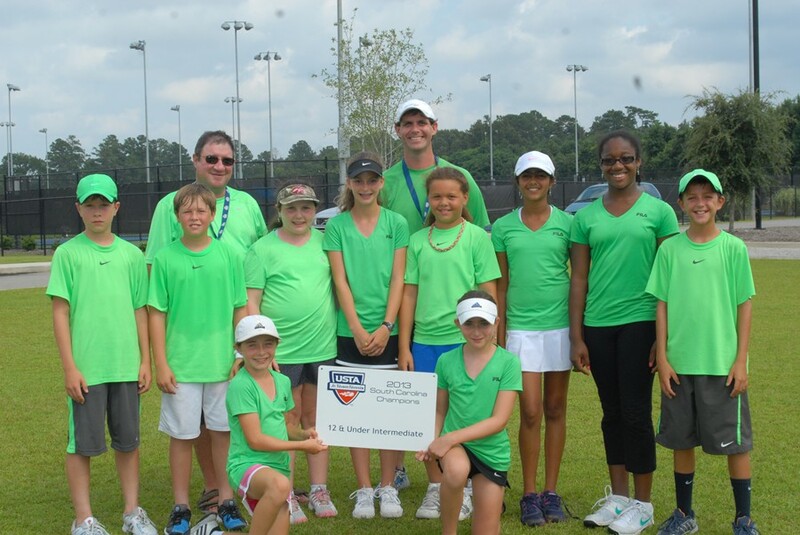 The Woodlands Terminetters, winners of the 12 & Under Intermediate division, are coached by Kevin Lee and John Hayes. The team consists of Kyle Burke, Whitney Crawford, Calissa Dellabarca, Courtney Lee, Max Miller, Chloe Narboni, Garen Presnal, Pallavi Rao, Elizabeth Stricklin and Chyna Thompson. The Woodland Terminetters play out of Woodlands Country Club in Columbia. 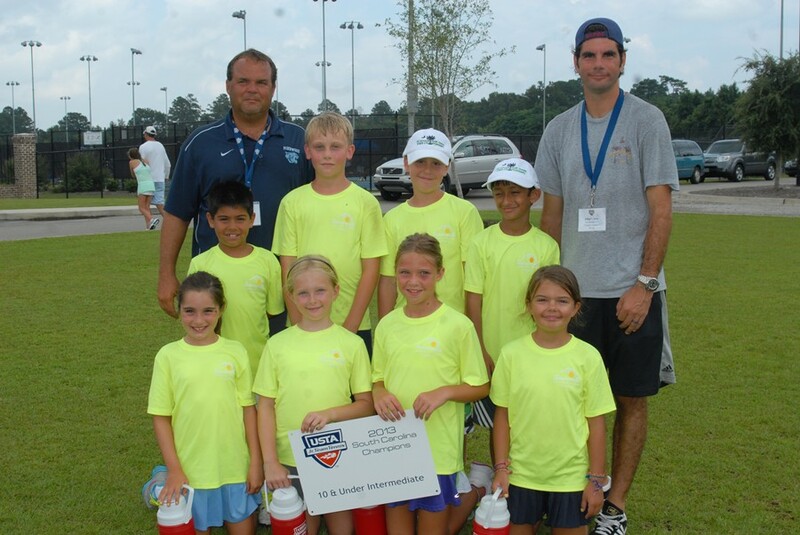 The Topspin Tornados, winners of the 10 & Under Intermediate division, are coached by Bryant McKee and John Penton. The team consists of Mackenzie Penton, Rahi Gajjar, Spicer Pagan, Victoria Vietri, Edward Naval, Ethan Warner, Jessica Osborne and Reagan Walker. The Topspin Tornados play out of Pinewood Preparatory School in Summerville. 8 & Under teams were invited to play Saturday, with three teams competing in a round robin format. All 8 & Under participants were awarded medals at the completion of play. Competition ran from Friday, July 19 through Sunday, July 21 at the Dr. Eddie Floyd Florence Tennis Center. Teams play boys’ singles, girls’ singles, boys’ doubles, girls’ doubles, mixed doubles in each match. USTA Jr. Team Tennis emphasizes fun, fitness, and friends. The multi-week program consists of team practice and match play for boys and girls, ages 6-18. Teams compete against each other in local leagues in one of five league divisions: 8 & under, 10 & under, 12 & under, 14 & under and 18 & under.